The Roccat Kone[+] is the first Roccat gaming mouse that supports the new Roccat Talk driver system. It sports a four way mouse wheel, five extra buttons, an ergonomic right handed design, an adjustable weight system, four customizable LEDs, onboard memory, and a 6000DPI laser sensor. The Kone[+] is designed to work with the Roccat Isku for an easy aim mode and interchangeable Easy Shift keys. The mouse is extremely light weight and has a small chamber on the bottom of the mouse for four 5g weights. This can add a total of 20g to the Kone[+]’s light weight. Although I personally found the 20g to more weight than I cared for, some who enjoy extremely heavy mice may find the Kone[+] too light. 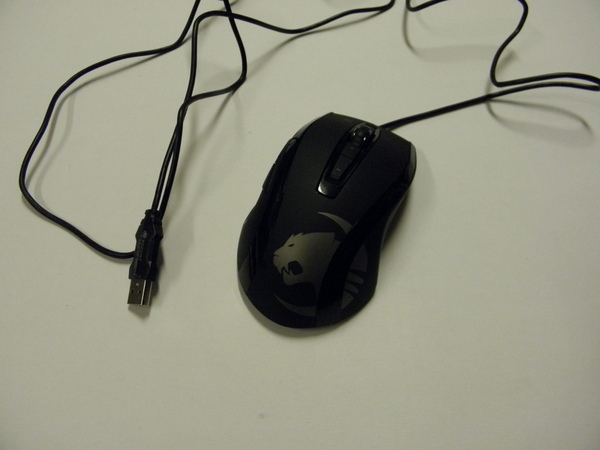 Roccat lists the mouse weight excluding the cable as 126g but does not clarify whether or not this includes the 20g of weights. From the feel of the mouse, I assume that it does not include the extra 20g. There is a generous amount of cabling that seems to be standard these days in gaming mice. So unless your desktop tower is halfway across the room, there should be no problems with running out of cable. The surface of the mouse is a soft material that is soft and smooth to the touch. It is extremely pleasing; however it feels like the coating is not absolutely perfect. There are a few bumps in the coating that are very minor. They cannot be seen except at extremely close inspection, but due to the extremely smooth surface of the mouse, these imperfections feel extremely obvious to the sensitive touch of a fingertip. I found the ergonomics of the mouse to be very comfortable, even with my small hands. 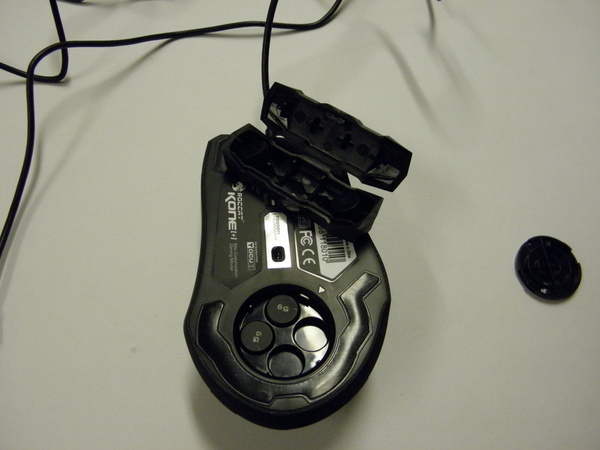 It is a larger mouse so most users will be unable to use a claw grip to operate the mouse effectively. The thumb buttons are located in a very natural position and the two buttons located beneath the mouse wheel are also easily accessed. The button above the mouse wheel is a bit of a challenge to press with small hands. The lighting on the mouse is at a good level of brightness. It is bright enough to be noticeable without being distracting in a dark environment. The drivers allow for a variety of colour options that can be associated with profiles, different colours can be assigned to each of the four LEDs, and the lights can cycle through the variety of colours with different visual effects. Unfortunately the transition is not always smooth. There is an extremely noticeable switch of colours at certain points as the colours cycle from one to the other. 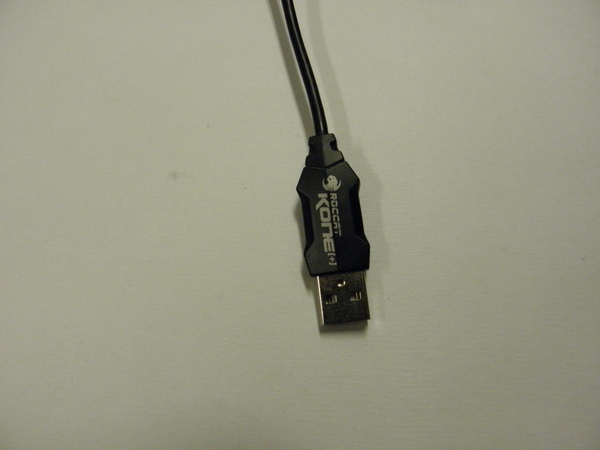 The Kone[+] is armed with a 6000 DPI laser sensor with a maximum polling rate of 1000mhz. The driver provides options for adjusting the sensitivity of the laser sensor in both a general value and a specific value for the X and Y values of the mouse. It is possible to set exact values for each DPI adjustment setting. However to get a temporary DPI adjustment button where the DPI is temporarily lowered for the duration of a button press for short situations calling for high precision like sniping for long distances, a Roccat Isku keyboard must be used with the Roccat Talk drivers installed. I do not really understand why this button must be bound to a keyboard macro when it could just as easily be bound to a thumb button on the mouse. I found the tracking capabilities of the Kone[+] to be excellent on mouse pads and a variety of non-optimal surfaces such as books, wooden desks, and some slightly shiny surfaces. The drivers have two tools to further tweak the laser’s tracking ability. The first is the Distance Control Unit. For those who have a tendency to lift the mouse due to a small mouse pad or whatever reason, the Kone[+] can either track normally from a centimeter and a bit lifted from the mouse, stop tracking almost the same moment the mouse feet leave the surface, or somewhere in between. 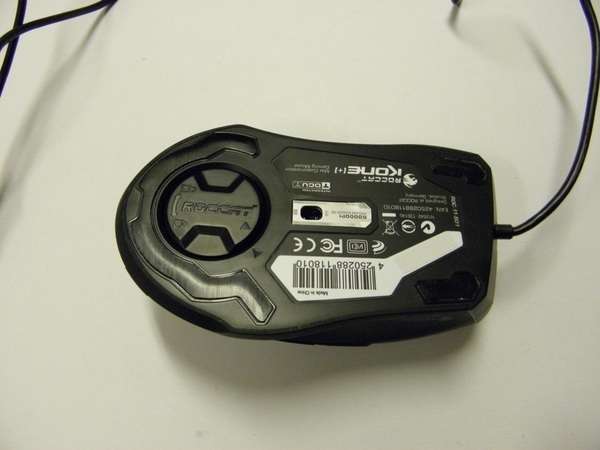 The Tracking Control Unit helps fine tune the tracking capabilities on certain mouse surfaces. This works best on matte single coloured surfaces. I personally did not find a noticeable difference with the TCU on or off the mouse surfaces I tested. In addition, several Windows mouse settings such as pointer such as double click speed can be tweaked from within the driver software. The driver software provides a powerful set of macro editing features. All nine buttons on the mouse and the four way scroll wheel can be bound to a macro. The macro editor starts with a recording macro feature where the appropriate keyboard keys are pressed to record the macro. An advanced macro editor that looks similar to the timeline layout of an audio editing/creation suite or video editing software is available for fine tuning macros. The Easy Shift key can be bound to either of the thumb buttons or if the Roccat Isku Easy Shift key if the keyboard is used in conjunction with the Kone[+]. This almost doubles the amount of macros available on the mouse at the expense of one key of the mouse thumb buttons. The mouse lights up in a light blue to signify the Easy Shift mode is enabled. I really enjoyed the macro system for the Roccat Kone[+]. It is extremely visual and easy to figure out. My only disappointment was the fact mouse buttons such as left clicks cannot be bound to macros. Profiles can be set to trigger on specific .exes. I really liked the fact that three .exes can be set to each profile, allowing for multiple games with similar control schemes to use a single profile. The drivers also have an option for audio alerts spoken in the Roccat Voice. The voice can announce profile switches, DPI changes, sensitivity changes, and volume changes through the system speakers/headphones. These can be turned off and on separately or the volume lowered in case you prefer a slightly quieter mouse experience. I did I found the announcement for volume, sensitivity, and DPI changes to be unnecessary, but I enjoyed hearing profile changes being called as I scroll through profiles with the mouse. Overall, the Roccat Kone[+] is an excellent mouse. 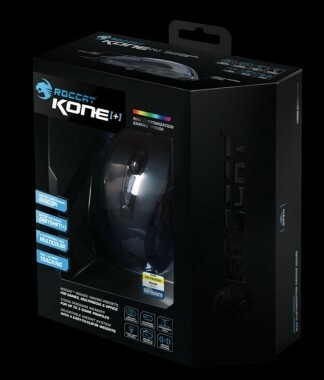 At $79.99 USD, the Kone[+] is priced competitively against mice from other manufacturers with a similar feature set. It is by far is on the higher end of the wired gaming mouse market. Although the mouse has some very minor physical imperfections and a few quirks, the powerful driver software, flexible macro capabilities, comfortable feel of the mouse, and strong sensor performance makes it a highly recommended purchase. If an Isku keyboard is being used or purchased at the same time, the Kone[+] becomes a must purchase.